Avocet Hardware has come to the rescue of a Mirfield couple after their insurance company stated it would only replace locks that had been snapped by burglars with like-for-like replacements – a settlement that meant their home would have been left at as much risk as it was before the burglary. Mark Davies and Ruth Harrison had their home broken into and ransacked by lock-snapping burglars and a host of prized possessions stolen, including Ruth’s £8,000 Mini Cooper. 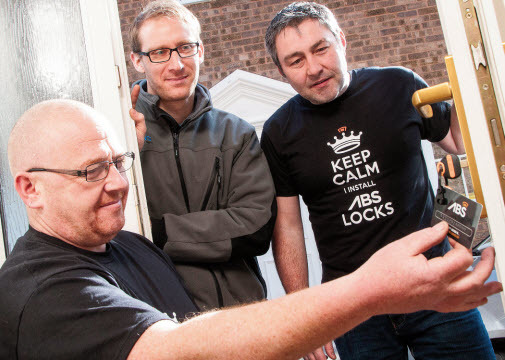 Avocet, which is actively campaigning for the scale of the lock-snapping problem in the UK to be officially recognised and properly tackled, read of Mark and Ruth’s plight in the Huddersfield Daily Examiner and quickly offered to upgrade their home to its ABS snap-secure locks. The problem, according to Raymond Pearce of Avocet Hardware is that not enough people are aware of the issue and so millions of homes across the UK are unwittingly at risk of a lock-snapping attack.